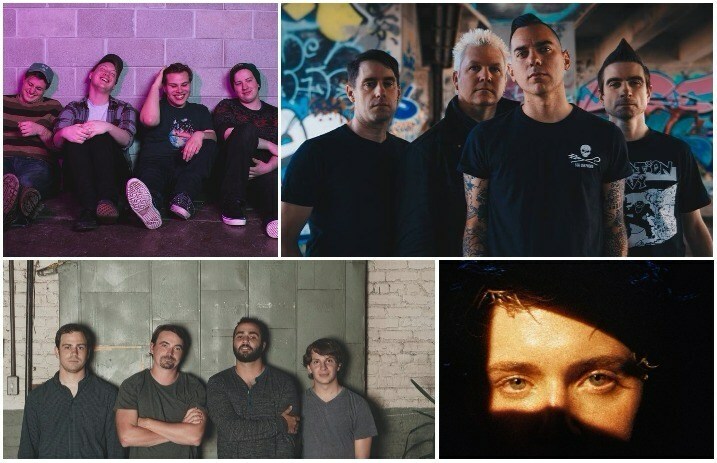 Watch new music videos from Anti Flag and Prawn—plus, don’t miss Hatebreed on tour! Check out the news you might have missed today below. Anti Flag premiered a new music video for their song “Finish What We Started”' via Brooklyn Vegan. The track is taken from the band's latest record American Fall. Be sure to catch Anti Flag on tour with Stray From The Path, The White Noise and Sharptooth. Tickets can be purchased here. Troye Sivan is showing a much softer side in his latest single “The Good Side.” The singer also announced that he will be a musical guest on NBC's Saturday Night Live on January 20. Be sure to tune in when he makes his appearance this Saturday! Hatebreed will be hitting the road in March in a part 2 to their “20 Years Of Desire / 15 Years Of Perseverance” tour, with support from Crowbar, The Acacia Strain and Twitching Tongues. What better way to shoot a music video than by throwing a dog party, as New Jersey's Prawn prove. The track “Rooftops” is taken from the band's latest album Run. The band starts their headling tour with Caravela tonight, so be sure to check out their Twitter for upcoming tour dates. Wisconsin's Barely Civil have had a busy day in terms of announcements. Not only have the indie-rockers announced their signing to Take This To Heart Records, but they also announced their debut LP We Can Live Here Forever, available March 2, along with the record's first single “Eau Claire? Oh, Claire,” which premiered via Stereogum. The two day festival will take place March 31 and April 1, and more information can be found here.